It's suddenly gotten quite cold here, a chilly 5 degrees this morning when I got up. This is not our normal winter temperature which tends to hover right around 32 degrees so staying indoors seemed like a good idea, especially after I went for my daily walk. Brrrrr! Given the cold weather and the fact that I'm still fighting the seasonal crud going around I decided curling up with a blanket and a hot cup of tomato tonic was a wise choice. I also decided to try out some new Stillman and Birn sketchbooks while I was huddled under my blanket. I thought it might be just the thing to lift my spirits from losing Maggie and keep me from focusing on how quiet the house is without her here. 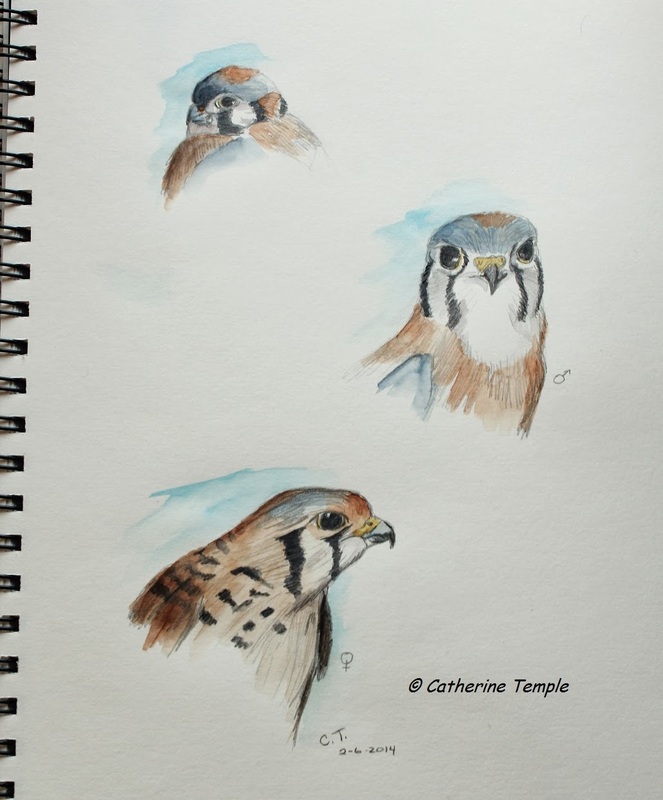 I gathered some photos I had taken of an American kestrel on another cold winter day, my travel set of watercolors and a waterbrush and found my favorite spot on the couch and I was set for a few hours just like when I was a kid. The time seemed to slip by as I concentrated on sketching our smallest falcon. These birds are commonly seen perched on power lines or fence posts quietly watching for their prey. They are also often seen hovering in mid-air closely inspecting the ground for a sign of movement. When their prey is spotted they swoop in for the kill and carry their prize off in their talons. They may be small, only 9" to 12" long, but are fierce and feisty. 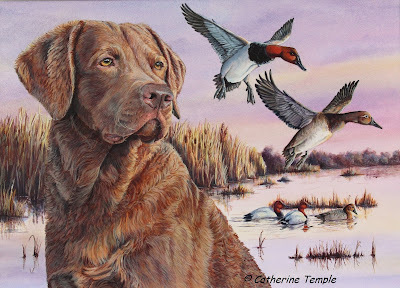 The females are larger than the males and are mostly reddish-brown with black facial markings. The males have reddish-brown backs and blue-gray wings and heads also with black facial markings. 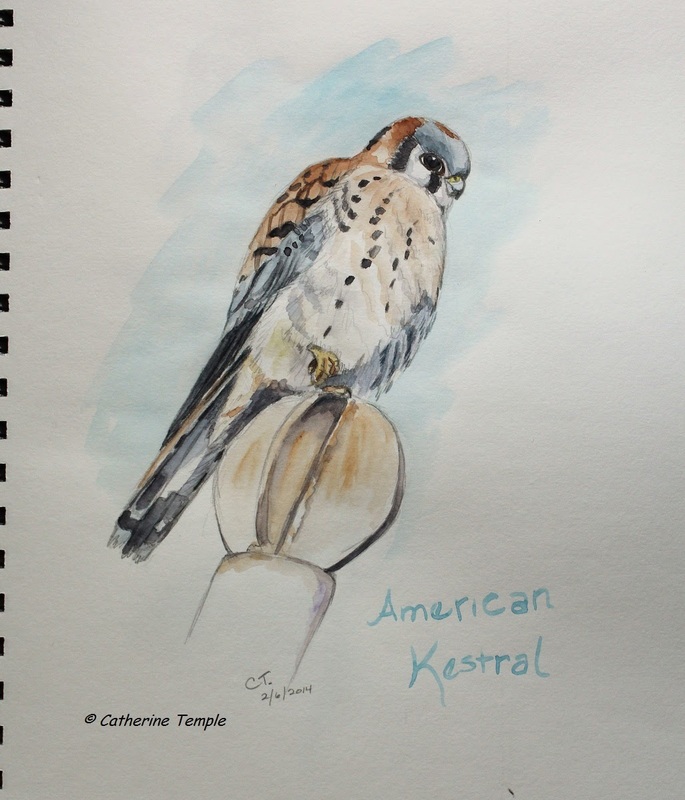 The watercolor at the beginning of the post shows a male kestrel hunched up against the cold.